A Guide On How To Properly Tune A Ukulele – Sound Check Lab. One of the first things you need to learn if you want to play ukulele is knowing how to tune a ukulele. This is actually a must if you want to sound good in playing the instrument. In this article, we are going to provide a –step-by-step guide on how to tune a ukulele for beginners. Tuning may be difficult, but with this guide, you may become a pro at tuning your ukulele right before you know it. How To Properly Tune A Ukulele? Note: The 4th string is at the most to the left side on the fret. 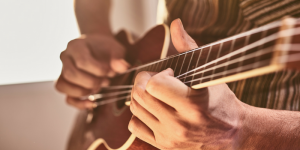 This guide is when you have your ukulele in its standard tuning –this is what you are going to need to play most of the songs. This is by far the easiest and the most accurate way of tuning the ukulele. You might find a lot of these tuners online and in the local music shop as well. Furthermore, these are not that costly and might make your life so much easier. If you are going to buy one, make certain that you buy one that is made for ukulele tuning or a chromatic tuner. Tuning the ukulele using an electronic tuner is quite straight forward. You will just put the tuner on the headstock and the pluck the strings. This will then show the note you are playing. You can use the tuning pegs, in order to get your preferred note. This is what they also call as the relative tuning. This is mainly because you’ll tune the 4 strings relative to each other. This is actually a great method if you’re going to play on your own and you want to have all the strings to sound good all together, yet is not that precise. This might however cause issues, if you’re playing with some other people. Here is a step-by-step guide to standard running method of ukulele. Use the 1st (A) string as a reference to tuning the other three strings. This is actually what makes this method inaccurate. You will not be able to notice, in case you play alone, yet you will if you’re going to play along with different songs or with friends. Place your finger right behind the 5th fret on the 2nd (E) string. That is already an A note. Now, if you’re going to pick the 1st string, it must sound the same. Further, you may adjust the 2nd string using the tuning pegs on the headstock up until they already sound the same. Place your finger right behind the 4th fret on the 3rd (C) string. That, right there is an E note. Now, if you are going to pick the 2nd (E) string, it must sound the same. You may adjust the 3rd string using the tuning pegs on the headstock up until they already sound the same. Most of the ukulele come regular with a High G string. 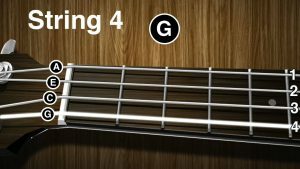 You can place your finger right behind the 2nd fret on the 4th (G) string. That, right there is an A note. Now, if you are going to pick the A string, it must sound the same. You may adjust the 4th string using tuning pegs on the headstock up until they sound the same. If you have picked to use the Low G string on the ukulele, you might use this method. Place your finger right behind the 5th fret on the 4th (G) string. That, right there is already a C note. Now, if you want to pick the 3rd (A) string, it must sound right the same. You may adjust the 4th string using tuning pegs on the headstock up until they sound the same. 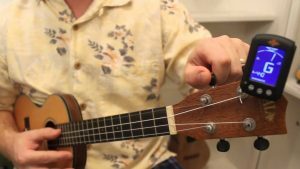 This method might take some practice to train your ears, but it is actually an easy and quick way to tune your ukulele. If you know your notes on the fretboard, you may also come up with some other combinations. Can’t you get in tune? If you happen to have an older, or a brand new ukulele that has not been set up appropriately, it may happen that you cannot seem to get the ukulele in tune at all. This may perhaps get resolved by just tightening the screws of the machine. One more reason may be that the strings are not put on properly. If you want to learn more tips on how to tune and strum a ukulele, watch this video: https://youtu.be/eq03RaibpLM. I hope you are able to learn how to strum a ukulele in this article. Let us know your thoughts! A Guide On How To Strum A Ukulele? soundchecklab.com is a participant in the Amazon Services LLC Associates Program, an affiliate advertising program designed to provide a means for sites to earn advertising fees by advertising and linking to Amazon.com.